Watching the Players Championship and every time a pro's ball goes into the water, I smile. am not proud of it. I don't wish their ball goes into the water but it is like watching your opponents ball falling into a water hazard! There just seems like a pros shots can find water too. How about BOTH guys in the FINAL pairing on Sunday?!?!?! Had a little side bet with a friend.. he won both ways.. with Rory & Furyk coming in 1/2. For what it's worth .. I had Rahm & Fleetwood - and watching those balls splash was pretty painful as they were both in contention. What really intrigued me was the whole conversation on #11 between Rahm & his Caddie .. and the resulting decision to go .. and the splash. They had the Caddie on Mic - and he clearly gave him a shot that would have left him 100 yards in from a level lie.. It's Rahm's show - and he pulled a club and tried to work it R to L downwind.. that ball never moved..
ah well - it's not what happens it's how you deal with it. Rory was the last man on the range Saturday Night.. he worked it out.. got past whatever he was doing that was giving him a nervous block .. and he takes home the hardware. Definitely have to take a hard look at him as a Master's favorite .. April awaits..
if Jim Furyk could have found 2 short putts .. he wins outright.. heck of a week - glad to see a good man playing well! it's a bit of fun..
let energy instead of style define you. 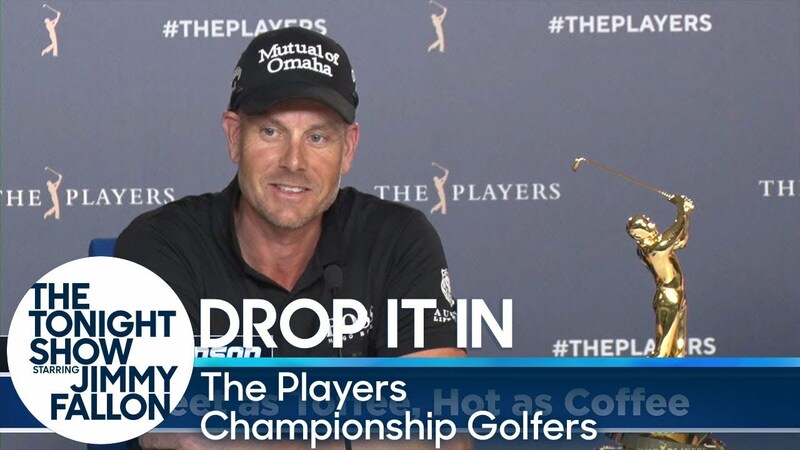 should have mentioned this .. it was on Henrik Stenson's Twitter feed.. he got a kick out of it .. This could be the reason that Jon Rahm Hit one into the water. 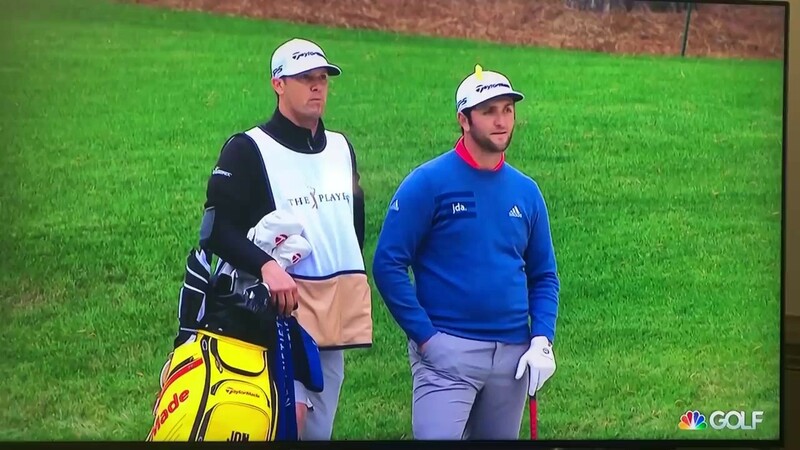 I heard Rahm saying he wasn't comfortable with the shot that Adam was giving him - and clearly he saw something that he thought he could pull off. As the player, Rahm is the boss and it's his call as to what is going to get played .. and why. For whatever reason(s) he couldn't visualize or agree with the shot that he was being given - so as an 'armchair expert' I can only second guess this - but it goes to his intention. He saw an opportunity to pull off an heroic shot (likely lower percentage) but was overly confident in his ability to do it - and literally couldn't visualize the safer play.. It goes to his priorities and reasons that he plays and enjoys the game (assuming I'm even close to the reality of it) when his priorities go to bringing home championships and making those decisions that come with that -- he has more than enough game to back it up. It's an amazing game ..
You have to sell out completely on your shot and shot vision, whether that be the right or wrong play be all in and be all there.